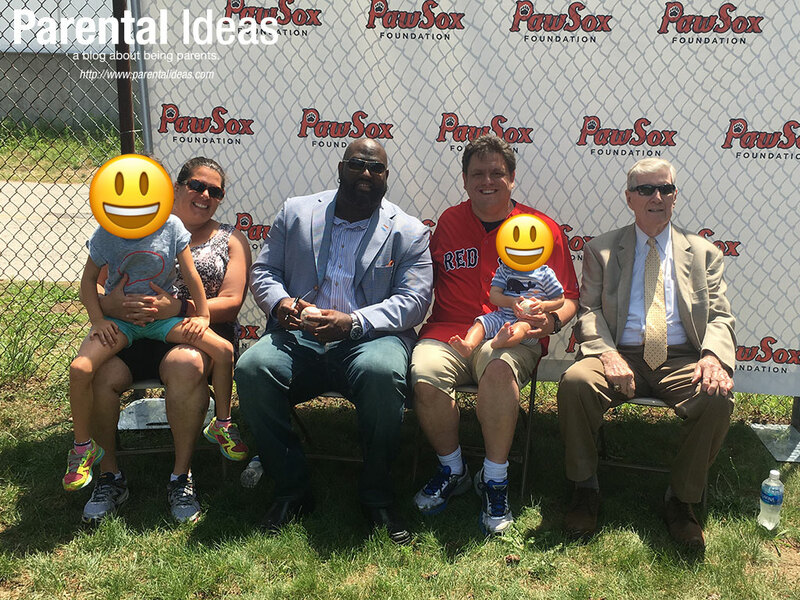 We had the chance to attend the PawSox Hall of Fame induction ceremony in July. They were honoring one of my all-time favorite players, Mo Vaughn as well as Coach “Walpole Joe” Morgan. The beautiful Sunday morning started with a VIP barbecue located in the "Shady Pines" area of the ballpark. We were treated to some great ballpark staples like hotdogs and hamburgers, as well as one of my favorite things at a PawSox barbecue: the pulled chicken. I don't know how they do it but it is so tender and tasty without having too much sauce. We met and took pictures with Mo and Coach Morgan as well as had the chance to have them sign some baseballs we brought with us. This was such a great opportunity to take the family to and I STRONGLY recommend it as a nice present for any baseball-loving dad/husband in your life. After the barbecue, we went to our seats which were any general admission seat in the house (any blue seat or anything in the outfield/berm). 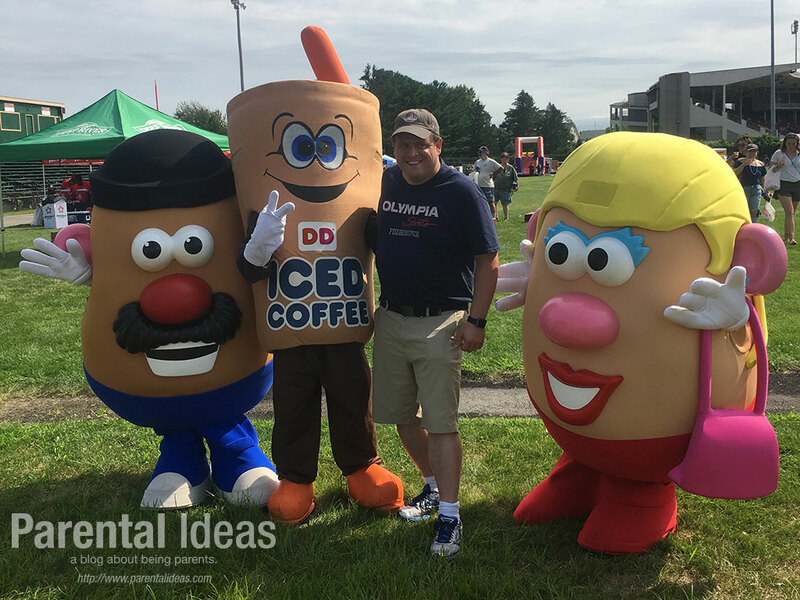 It was a warm day and the kids were a little anxious to move around so we were really happy that the annual Fan Fest festival of all of many team sponsors was the same day! It took place in the huge field next door and fans had the chance to get samples and try different foods from various vendors. My favorites were Dunkin Donuts (of course! 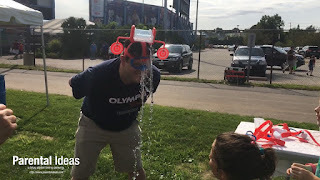 ), AAA and Hasbro, which had the Pie-face type games with a twist, one with a Toilet Splasher called Toilet Trouble, and another one that was like a personal dunk tank in a hat called the Dunk Hat game. 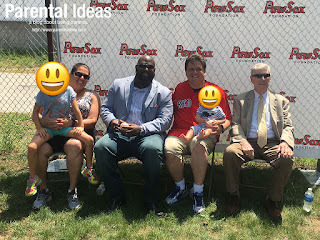 The season went on through August and the beginning of September with the last home game at the end of August where the PawSox inducted the final member of the 2017 Hall of Fame class, Carlton Fisk. Stay tuned as the PawSox are hosting their first ever Food Truck and Craft Beer festival on Saturday September 16 from 6-10 pm at McCoy Stadium. For more information and to order tickets visit pawsox.com. Guys, this would be a great thing to take the boys to or the family to as well! NOTE: I was provided with tickets to the BBQ and Hall of Fame game as well as tickets for the food truck fest in order to facilitate this article. All opinions, as always, are my own.